The island of Mayotte is located in the Indian ocean, between the island of Madagascar, and the African mainland. It is part of the chain of islands that make up the nation of Comoros. However, Mayotte remains part of France. The island of Mayotte, and the rest of the Comoros islands had been fought over by various Sultanates through its history, also falling under control of the king of Madagascar. In 1843, the Comoros islands where ceded to France, until a referendum in 1974. 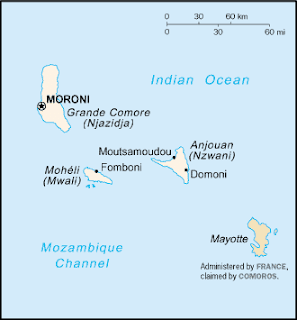 The referendum saw the other islands of the Comoros vote for independence, whilst the island of Mayotte voted to retain its link with France. A follow-up vote in 1976 saw the same result. A desire to retain its link with France. Since independence, Comoros has maintained its claim to the island of Mayotte.Also, they have pushed the United Nations, where the Security Council has voted many times in support of Comoros, only for France to use its veto. The tenor can be judged by the title of the resolution! "Question of the Comorian island of Mayotte." However, since 1995, the issue has not been raised before the Security Council. Another referendum in 2009 saw Mayotte vote to abandon its "overseas community" status, and become Frances 101st "departement." This will see Mayotte become fully integrated with France's governmental system. 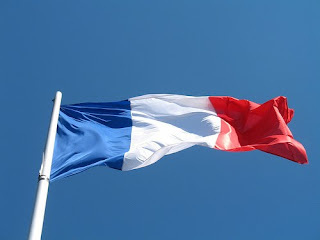 Its current legal system, which sees a blend of French and Islamic laws will be slowly abolished and France's uniform legal code will be implemented. As part of France, Mayotte does not have its own official flag. It uses the national flag of France. 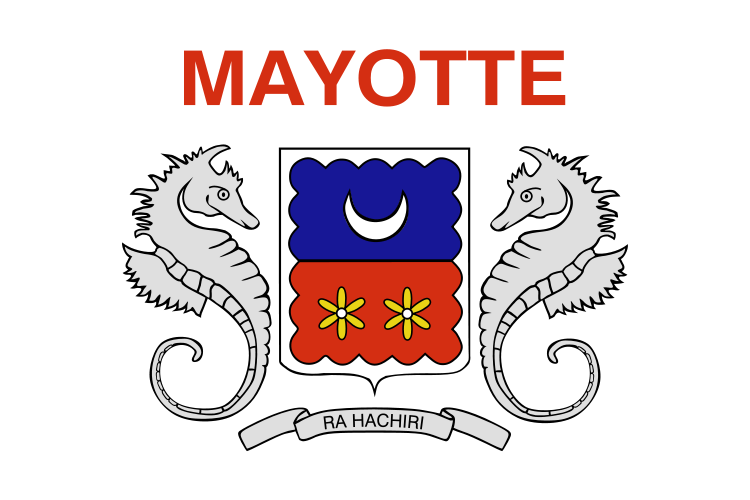 However, Mayotte does have its own unofficial coat of arms. A central shield has a cloud design upon it, with the top half in blue, and the bottom half in red. On the blue, is a sideways crescent, and 2 yellow flowers on the red. The supporters are seahorses, and underneath is a ribbon with the islands motto, "Ra hichiri." The island has an unofficial flag which is white, with the islands coat of arms placed in the centre. Above, in red capital letters, is the islands name "MAYOTTE." There is a movement on the island to reunify with Comoros. However, that movement is small, and with the shift in 2011 to becoming a full departement makes it very, very unlikely that Mayotte will move away from France.